It is virtually the middle of the year and things are looking great. I have been flat out between work, writing, travel, moving house and trying to find time to socialise. Thankfully those busy, stressful days are behind me and I am now settled into my new place and well rested after my holiday. Travelling around Japan for two weeks was a surreal experience. Everything people say about Japan is true: the food is incredible, the people are beyond friendly and the nature is beautiful. There is nothing quite like immersing yourself in another country and embracing the local customs. I ate eel at the fish markets in Ginza, wrestled with sumo’s, and drank craft beer in Shinjuko. Enjoying the night life and craft beers in Shinjuko. Photo by Michito Goto. I have rediscovered the fire for my YA novel after a few months of absence. There is something powerful about getting that surge of energy again for a project that means so much to you. The goal is to finish the first draft of the novel at the end of the year. As always, another project idea has popped into my head and we’ll see where that goes. The second half of 2017 promises to be an exciting stage for my writing journey. Here’s hoping there is more good news to come. Posted in Novel, Travel, Writing and tagged Corey McKernan, Ginza, Japan, Novel, The Footy Almanac, Travel, Writing on June 13, 2017 by matthewnaqvi. April is here already. The year is flying by. Time to write is becoming harder to find. But I still make time here and there. Between work, writing, planning for travel and moving house, life has been hectic to say the least. However, I am staying on top of things and keeping sane however I can. I am busy editing at The Footy Almanac. I have been involved with the Almanac for a few years, so to now be an editor for them feels great. I am currently working on a piece for the site about my footy journey and I look forward to you reading it. I am really enjoying my time at the Wordsmiths of Melton. The writers are continuing to put some cracking pieces together. More publications will be on the way for them, I am sure of it. I have also been looking for a new house for the past month and a half. Today, I got the keys today and the moving process will begin tomorrow. Change is always nice and I feel that it will refresh my creative energy. In other news, I am heading to Japan in two weeks. I can’t wait to recharge the batteries and find inspiration. I hope to get some solid writing in as I always do when I travel. This has been a busy time but it will be worth it. The holiday is much needed and will ensure I can deliver strongly for the rest of 2017. Posted in Novel, The Footy Almanac, Travel, Wordsmiths of Melton, Writing and tagged Japan, Novel, Reading, The Footy Almanac, Travel, Wordsmiths of Melton, Writing on April 6, 2017 by matthewnaqvi. 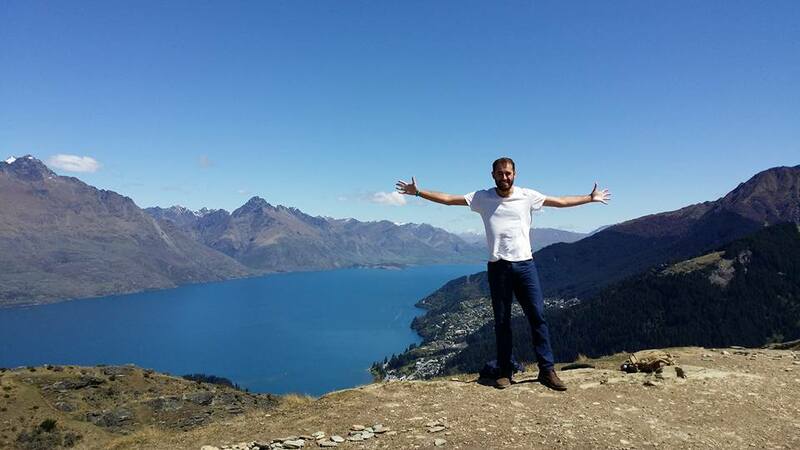 I have just spent two weeks in Queenstown, New Zealand for a much needed break. I can safely say it is heaven and has done me a world of good. I got some solid writing done and there is a renewed spark to get my work out there. Let’s see where things go from here. Beautiful Queenstown has revitalised my writing passion!